Writing can take its toll on you if you do not prepare adequately for it. Having the right tools by your side is essential to surviving a project, whether personal or someone else’s. With the right tools, anything can be made easier and writing is no exception. Here are the best product management tools a writer can use. 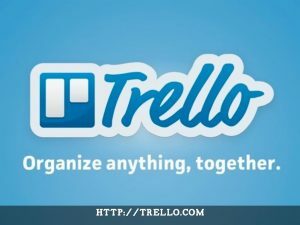 Trello is a website-based productivity application. It can do everything you need it to do, for free. You can organize tasks, schedule them, make to-do lists and share them with multiple clients or employers, depending on your type of workload. Trello comes for the price of free, but there are premium features which you can upgrade to by changing your monthly plan. Those features benefit medium or large businesses mostly, so smaller ones and individuals should be okay with the basic, free membership. You also get mobile applications for Android and iOS devices. Asana is like Trello except they offer more paid memberships. The basic one is really basic and can be great for a single freelance writer. When you have more people involved, more than five, you should consider the paid memberships as they add more options and features. Like Trello, it is great for large projects, especially if you need daily reminders. Asana is successfully integrated into many other applications, from Google or other companies, so compatibility will never be an issue. This application is available for many systems, including Windows, Mac, iOS mobile devices and Android devices. Because it is so widespread and available, it is a favorite for many writers who want to organize their day. The free membership allows you to create up to five projects with five team members. Anything larger than that requires a premium membership. The beauty of the premium membership is that it is the same across all the prices because the price increases with the number of people who will be using the said premium membership. The interface is simple to use and color-coded, making it very user-friendly, for both smaller and larger projects. This software is also available on many operating systems like Mac, Windows and mobile devices, meaning iOS and Android ones. It is very similar to Trello but much simpler. 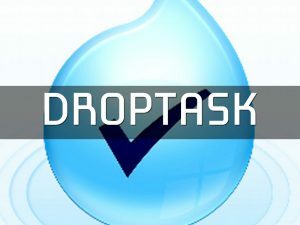 A minimalistic approach allows you to effortlessly create and manage tasks. It is free, but also has premium memberships, should you need the extra options. Why not just use Google Sheets? The software is free and can be very useful for a freelance writer, as you can also create tasks and to-do lists. You can also share it with your contacts so they too can pitch in and edit the data if necessary. It is a free tool, available at any time, and it can also use many of the above-mentioned software, as many of it is compatible or already integrated into Sheets. With these programs, you should be well on your way to simplifying your tasks and projects, thus devoting more attention to writing.